Sebastian Snow wants nothing more than to live a life of solitude and tranquility. His peace is disturbed by a series of bizarre suicides in the small town. One night, he is forced into a fight. After getting fatally wounded, he loses consciousness. The next time he opens his eyes, he is completely healed, and it appears the attacker inherited his wounds. 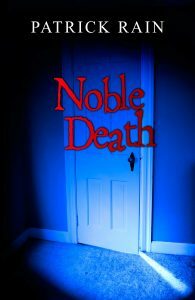 Shocked and frightened by the fiendish experience, he comes to believe that it might be the key to unraveling the mystery behind the suicides. His struggle to find the truth and survive begins. Good story. I liked the supernatural element and the edgy protagonist.